American-born painter of historical, religious, and mythological subjects who had a profound influence on the development of historical painting in Britain. He was historical painter to George III (1772-1801), a founder of the Royal Academy (1768), and in 1792 he succeeded Sir Joshua Reynolds as its president. One of the first American artists to win a wide reputation in Europe, Benjamin West exerted considerable influence on the development of art in the United States through such young American painters as Gilbert Stuart, Charles Willson Peale, and John Singleton Copley. West abandoned the tradition of painting people in Greek and Roman dress, the first major artist working in England to do so. West was born on Oct. 10, 1738, of Quaker parents in Springfield (now Swarthmore) in the Pennsylvania colony. Young West was encouraged to draw, and it was said that he got his first paints from his Indian friends. 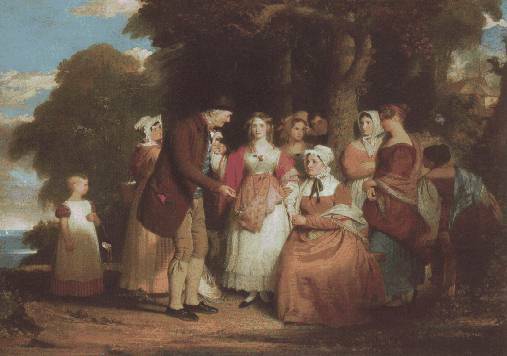 When he was 16 his Quaker community approved art training for him. For a time West studied in Philadelphia and New York City. He also served as a militia captain in Indian campaigns in Pennsylvania. Then he went to Italy for three years of study. In 1763 he went to England and remained there for life. Known in London as "the American Raphael," he became a friend of Sir Joshua Reynolds, England's leading painter. Soon other influential Londoners, Samuel Johnson for one, took an interest in the young American. King George III commissioned him to paint several pictures, and in 1772 he appointed West historical painter to the king with an annual allowance of 1,000 pounds. By another royal appointment West was made a charter member of the Royal Academy, succeeding Reynolds as president in 1792. West painted historical and religious subjects on huge canvases. 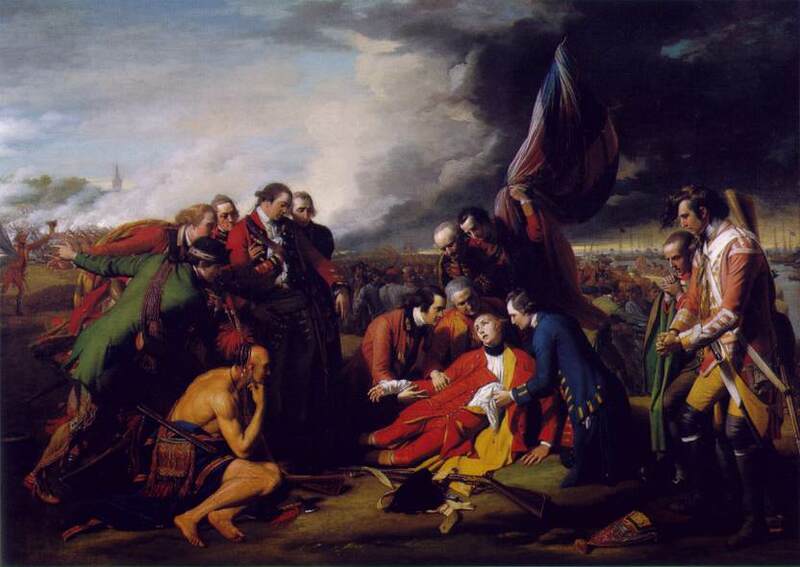 Among his famous works are Agrippina Landing at Brundisium with the Ashes of Germanicus (1768); The Death of General Wolfe (1771), the controversial painting in which he broke away from classical costumes; Penn's Treaty with the Indians (1772); and Death on a Pale Horse (1817), which anticipated developments in French romantic painting. Modern critics regard West's figures as somewhat stiff, his colors harsh, and his themes uninspired, but they respect his leadership and influence on later artists. West died on March 11, 1820, in London.